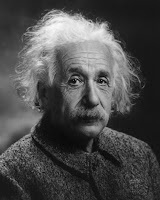 On Sunday, March 14, the Historical Society of Princeton will host its annual birthday bash celebrating the life of Princeton's famous former resident, Albert Einstein. Children (ages 6 and above) will learn about Einstein's many contributions to science and to the world. They will also listen to his favorite music and examine his treasured possessions. And yes—there will be cake! The Historical Society will hold two sessions. The first is from 11:00 am to 12:00 pm. The second session is from 1:00 pm to 2:00 pm. The cost is $5 per child; $4 for Historical Society of Princeton members. Space is limited, so registration for the event is recommended. The phone number is 609-921-6748, extension 100. You may also email Jeanette@princetonhistory.org.